The modern workplace is fast-paced, flexible, and dispersed. 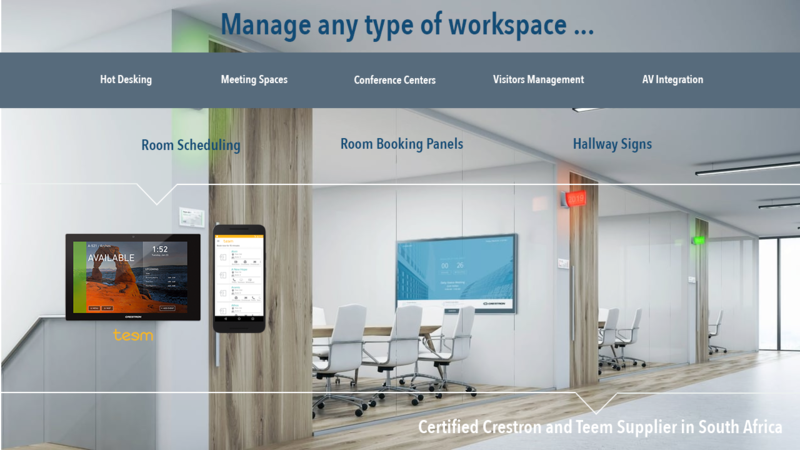 You need a workspace management platform that not only keeps up with you, but makes everyone more efficient, connected, and collaborative across all spaces while meeting your booking requirements. A smart workplace has to starts with an intelligent scheduling system that seamlessly integrates with your calendaring solution and AV solutions. 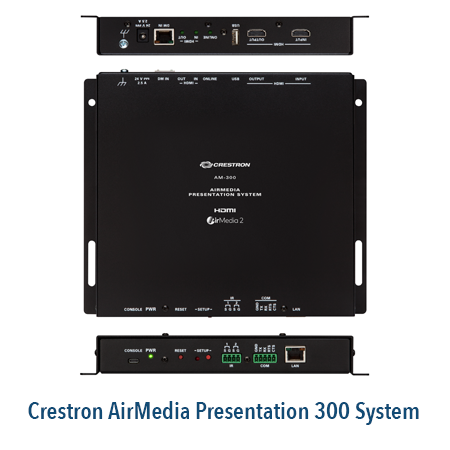 Our highly scalable Crestron and Teem platform meet the needs of every possible area and room type across your building or campus. The combination of these two platforms will transform your workspace into a streamlined operation. No more patching different systems together. Our workspace management solutions manage your room booking schedules, AV systems, lighting control, and energy saving. 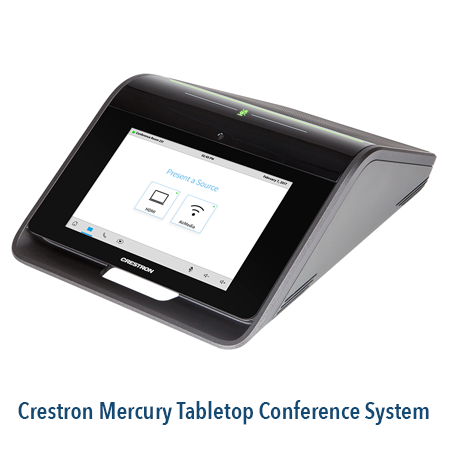 Our flexible Crestron scheduling touch screens directly connect to the most popular enterprise calendaring programs, such as Microsoft® Exchange, Office 365®, and G Suite®. This option is great for companies looking for a basic yet robust solution to manage their meeting spaces. For more advanced features we use Teem as our scheduling platform, and sometimes incorporate Crestron Fusion for enterprises looking to adequately maintain all their AV solutions in their building or campus. 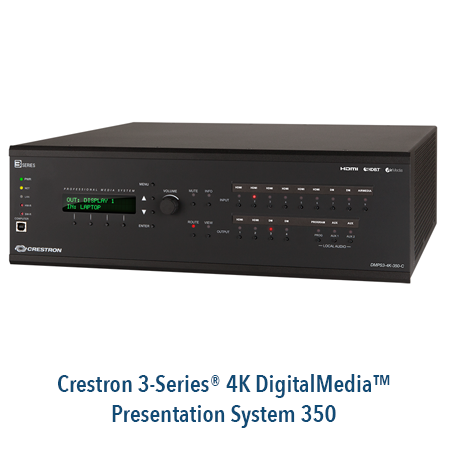 We offer the full range of Crestron products to improve your workspace management further. The range includes audio visual solutions, video conferencing, lighting control, energy management, and shading solutions. These products are reliable and have more than 20 years track record in the market. All these solutions are affordable for any size business in South Africa. All Meeting Information Is Displayed On The TV’s or Projectors In Your Meeting Spaces. 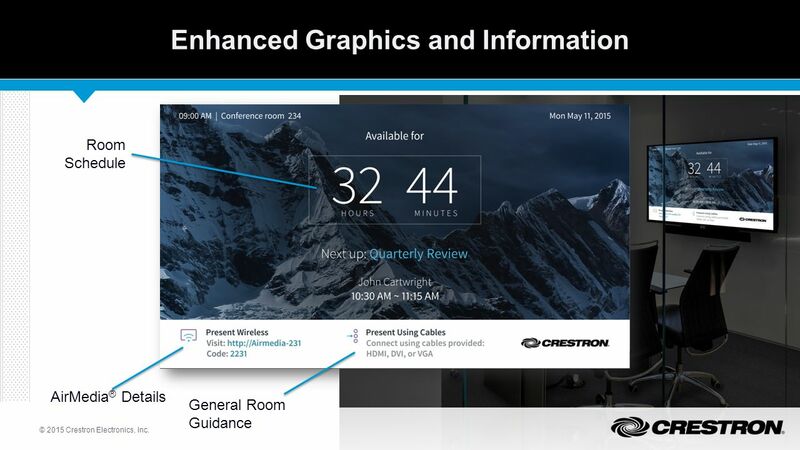 Most of the new Crestron AV solutions includes the option to show your meeting schedule information, and how to operate the AV equipment in the room directly on your TV or projector in your meeting space. You can extend this feature to tabletop or wall mounted touchscreen panels in each meeting space. Contact us today to inquire about how we can assist you with improving your Workspace Management. Our product range will not on only enhance your meeting schedules, but simplify your AV solutions in each meeting space.